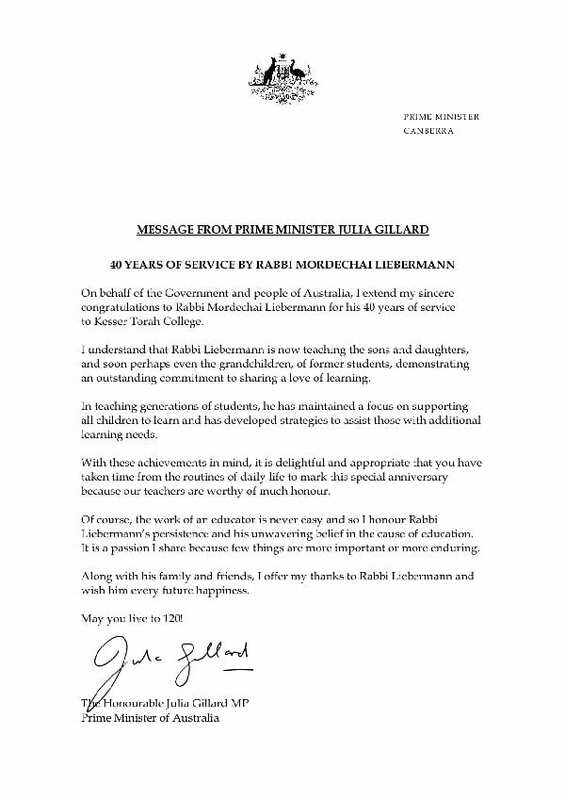 Rabbi Mordechai Liebermann has just celebrated his 40th anniversary as a teacher. 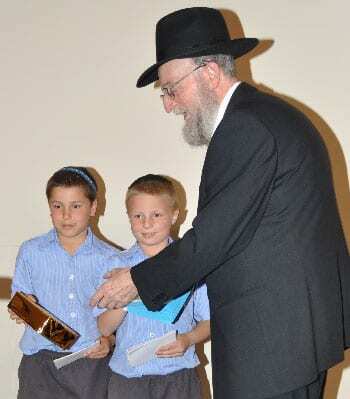 Last week, more than 300 guests gathered at Sydney’s Kesser Torah College to celebrate this educational milestone…including many of those whom Rabbi Liebermann had taught over the years. Rabbi Liebermann told the gatherering that he considered himself “a polisher of diamonds” because every child is as unique as a diamond and requires special attention. He said that “no two diamonds are the same”. Rabbi Liebermann, a former Yeshiva teacher has been at Kesser Torah since 2003.